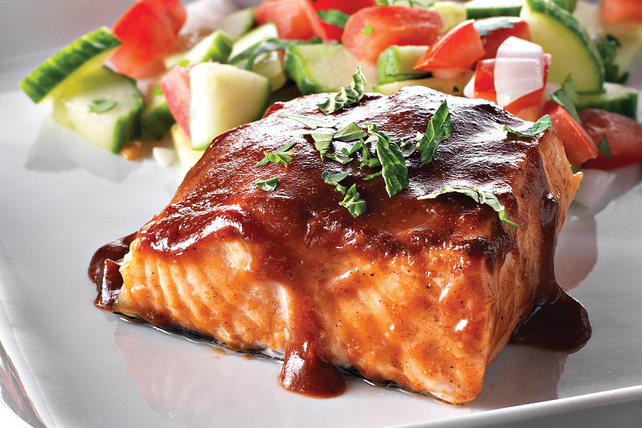 The barbecue sauce and tamarind paste team up to add robust flavour to this delicious baked salmon. Combine next 7 ingredients; spread on top of fish. Bake 15 min. or until fish flakes easily with fork. Remove from oven; top with remaining ingredients. Prepare using other kinds of fish, such as cod, halibut or rainbow trout. Serve with whole wheat naan.